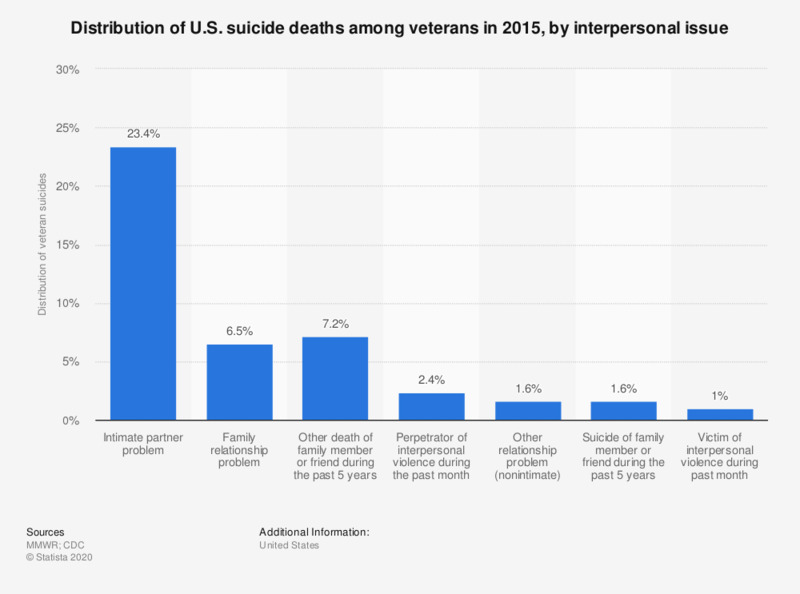 This statistic depicts the distribution of suicides among U.S. veterans as of 2015, by interpersonal issues. According to the data, 23.4 percent of veteran suicides had intimate partner problems prior to their death. Everything On "Veteran health in the U.S." in One Document: Edited and Divided into Handy Chapters. Including Detailed References. Statistics on "Veteran health in the U.S."